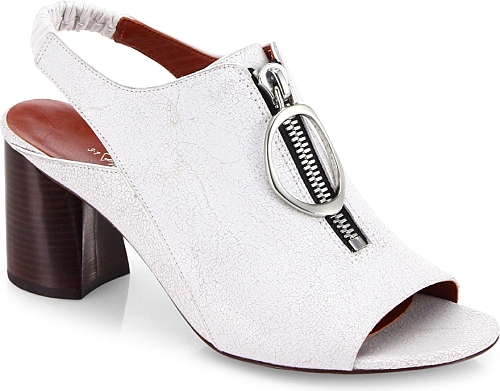 Textured slingback sandals with front zip accent. Stacked heel, 3' (75 mm). 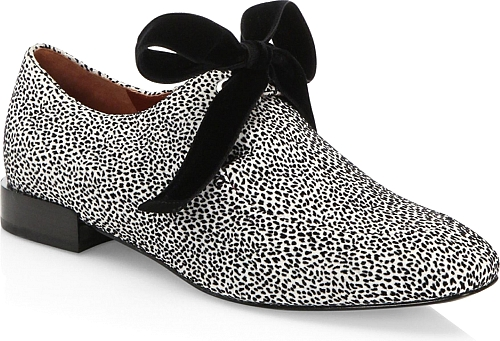 Classic-style oxfords featuring graphic print design. Leather/suede upper.